With all this variety on offer it’s easy to get overwhelmed, so we thought we’d help you out by giving you a quick snapshot of what should be on you FOMO list (Of course there’s plenty more at the festival’s official site: www.jazzfestival.co.nz). This is only a wallet-sized bucket list. The free Classic Albums Live series returns to the Rogue & Vagabond, featuring live sessions of Herbie Hancock’s Maiden Voyage (presented by Pianist Dan Hayles); The Breker Brothers (Saxoman Oscar Laven); Wayne Shorter’s Speak No Evil (Saxophonist Jake Baxendale); Trumpeter Lex French is back from Canada to do Miles Davis’ In A Silent Way; Jimmy Smith’s Prayer Meetin’ (Twinset’s Organmeister Chris Yeabsley); Louis Armstrong’s Hot Five (Trumpeter Michael Costeloe) ; Eric Dolphy’s Out To Lunch; Alda Rezende and her band do Getz/Gilberto. Over at St Peters on Willis church you can check out two free shows featuring Brad Kang (9 June, 6pm), The Secret Island Quintet (10 June, 6pm) ; and Mark Donlan and Alex Sipiagan (7 June, 6pm). Brad Kang does modern, New York-influenced jazz originals. His new ep Farewell For Now is a culmination of the five years Brad spent in Denton, Texas. The compositions draw from the modern jazz music of New York City as well as music of Sky Window, a jazz-rock-electronic fusion band Brad has been a part of for three years. Secret Islands Quintet are an exquisite, uniquely New Zealand take on the North American jazz tradition. This is an artistic ensemble, performing a suite of original jazz pieces from their upcoming album Secret Islands. 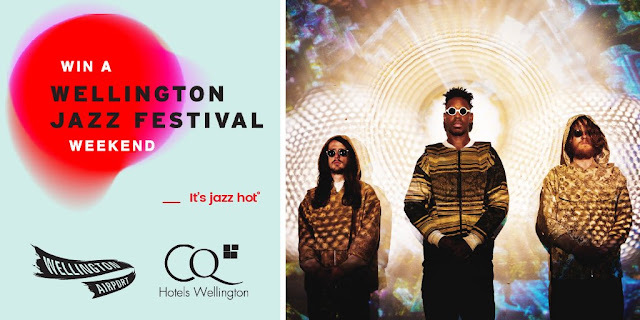 Their unique and soulful sound, originated by Jim Langabeer and developed by the ensemble over the past two years, is an assimilation of traditional North American jazz and Kiwi flavours as they mix haunting multi-phonic saxophone duets, Taonga Puoro, luscious grooves, sonically daring antics. Finally, Mark Donlan and Alex Sipiagana will perform a duo concert to launch their newly released albums Between Moons and Tales from the Diaspora. Families and foodies are in for a treat with the return of the jazz-themed Night Market on lower Cuba Street on Saturday 10 June, and the Festival’s ‘Jazz Bites’ partnerships with top restaurants and bars mean plenty of specials on food and drink throughout the Festival, such as ‘A Kind of Blue’ pizza at The Third Eye and the ‘French Seoul’ cocktail at Foxglove. Yum! Now that’s some local stuff. What about the big names? One of the international headliners not to be missed is Bill Frisell (7 June, 8pm). SPIN Magazine called him a “guitar genius”. He's worked with everyone, including Elvis Costello, Brian Eno, Bono and Marianne Faithfull. and most recently Paul Simon. This is first-ever New Zealand show. With Frisell joined by vocalist Petra Haden (The Decemberists, Beck, Foo Fighters), Thomas Morgan (double bass) and Rudy Royston (drums), you’ll revel in a sweetly dark and dreamy evening of re-imagined cinema and TV soundtrack music from his 2017 Grammy Award-nominated album When You Wish Upon a Star. Conjuring favourite memories alongside less-familiar moments of magic – from a brush with Bond to the drama of The Godfather and a love-laced Moon River – Frisell imbues these screen gems with a new sense of wonder and joy. Should be an awesome night. Another highlight for me are these guys: Seoul Jazz: The Jac and Black String. This is a team up project between locals The Jac and South Korea’s Black String. The night's efforts will be the re-culmination of a year-long collaboration- q night of in-the-moment magic melds Black String’s electrifying and explosive play on Korean musical traditions with the cinematic sound of these award-winning New Zealand talents. The Jac (Lex French -trumpet; Jake Baxendale - alto sax; Chris Buckland - tenor sax; Matthew Allison - trombone; Callum Allardice -guitar; Nick Tipping - bass; Daniel Millward - piano; and Shaun Anderson (drums).) are a freight train of pure musical energy, featuring members of the New Zealand Symphony Orchestra, The Troubles and the Richter City Rebels. Dave Wreckl & Tony Lindsay. A regular performer with jazz great Chick Corea, Dave Weckl delivers every time, creating an “explosive” (All About Jazz) fusion of funk, rock and blues. He’s joined by Grammy Award-winning Santana vocalist Tony Lindsay, DownBeat rising sax star Adam Schroeder, Mingus Big Band trumpeter Alex Sipiagin, and concert openers the New Zealand School of Music Big Band – Aotearoa’s premier student ensemble. You can also listen and learn from one of the world's greatest drummers at the Dave Weckl Drum Workshop earlier that day (check the festival website). Covering off the vocal superstar section will be Dianne Reeves. A sultry and soulful storyteller, her unique jazz stylings reflect a pure and heart-felt love of music. From R&B to pop, folk and rock – she owns them all with her lush, crystal-clear voice. Experience the charisma, power and beauty of this five-time Grammy Award-winner, joined on stage by Peter Martin (piano), Romero Lubambo (guitar), Reginald Veal (double bass) and Terreon Gully (drums). With collaborators ranging from all-time greats Harry Belafonte and Jazz at Lincoln Center Orchestra with Wynton Marsalis to new guard Esperanza Spalding, Robert Glasper and Lalah Hathaway, Reeves is the true heir to Ella Fitzgerald’s queen of jazz throne. Beg, borrow or steal to get a ticket, I reckon. If you like more experimental jazz, with major funk influences then get along to see The Comet is Coming (10 June, 8PM). Fusing jazz, Afro-beat and electronica, The Comet is Coming are your Saturday night soundtrack to an imagined apocalypse, with members King Shabaka (Sons of Kemet, Melt Yourself Down), Danalogue and Betamax your cosmic guides. These one-time Snarky Puppy openers are charting their own path in the spirit of legendary freestyle funksters Sun Ra, Frank Zappa and Jimi Hendrix, making last year’s prestigious Mercury Prize shortlist. The Guardian raved calling them: “The In Sound From Far Out”. And finally, back in town, Nathan Haines (10 June, 7pm). From a live and large stage sound, to stripped back acoustic, and electronic beats, this genre bending musician has been making music for over two decades. His first solo album was released in 1994, and the ensuing 20 years has seen him record and perform all over the world. With 10 solo albums to date (two of which have attained Gold status in his native New Zealand), many of which have been released internationally, Nathan is a musician who blends his love of jazz with modern production styles and a dancefloor sensibility. I had the pleasure of interviewing him on numerous occasions and each time he was an education in jazz and vintage Verve recording techniques. His love of vinyl goes way beyond simply playing it. Nathan will be showcasing material from his forthcoming new eleventh solo album at the city’s iconic Thistle Inn (home of anarchy and arts for many years). Featuring Wellington local legend keyboardist Jonathan Crayford and Joel Haines on guitar, alongside Karika Turua and Mickey Ututaonga. Of course favs like Roger fox will be back along with Michael Houston (doing Bach, jazz style) and Anthony Donaldson (reinventing Zappa). And closing the Festival is the Harold López-Nussa who will bring the heat! A classical piano prodigy and Cuba National Symphony Orchestra soloist, López-Nussa made a late switch to jazz and has never looked back. He’s since collaborated with musical legends Chucho Valdés and the Buena Vista Social Club, and been picked up by New York’s Jazz at Lincoln Center, Ronnie Scott’s Jazz Club in London and the world-famous Montreux Jazz Festival. Come sway the night away, and feel the energetic rhythms and magical melodies of this next-big-thing performing with Ruy López-Nussa (drums) and Julio César Gonzalez (guitar). The death, attributed to cancer, was confirmed in a family statement on Twitter. His family did not say where in Switzerland he died. 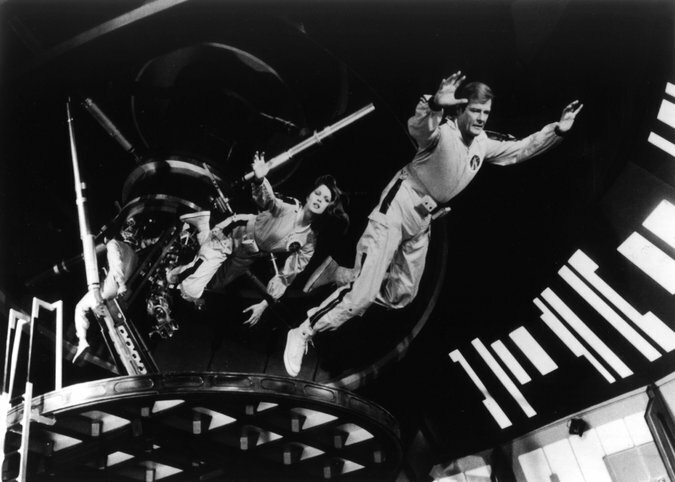 Mr. Moore in the Bond adventure “Moonraker” (1979). 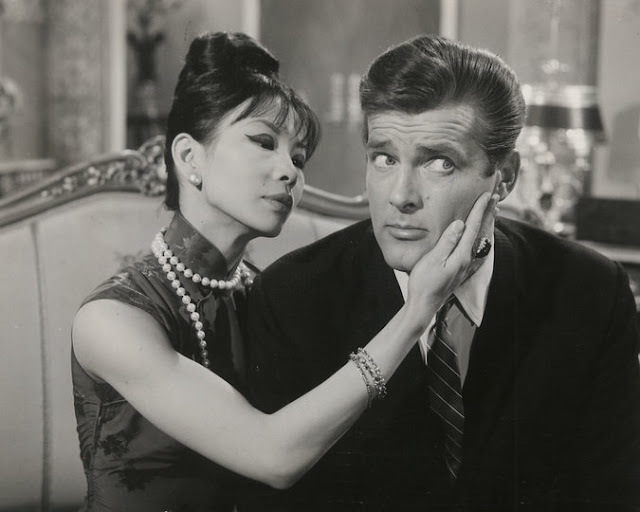 Mr. Moore made his American television debut that year playing a French diplomat on an episode of NBC’s “Robert Montgomery Presents.” His first credited film role was a small one as a tennis pro in “The Last Time I Saw Paris” (1954), starring a young Elizabeth Taylor. His second movie was the romantic melodrama “Interrupted Melody” (1955), with Eleanor Parker. 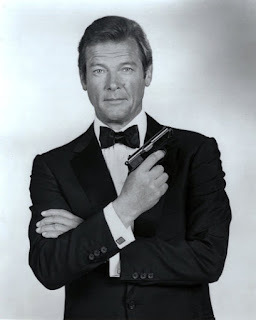 But he soon returned to Britain and spent the rest of his career doing a mix of British, American and European projects. Before 1996, there were two major New Zealand literary prizes, the New Zealand Book Awards (1976–1995) and the Goodman Fielder Wattie Book Awards (1968–1993). Montana took over the sponsorship of the Wattie Awards in 1994, and thus became the Montana Book Awards (1994–1995). 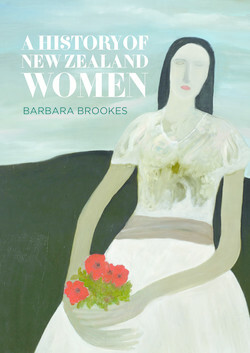 In 1996, the two awards merged to form the Montana New Zealand Book Awards (1996–2009). In 2010, sponsorship of the awards was assumed by New Zealand Post, which had been supporting the Children’s Book Awards for the previous 14 years. In 2015, the governance and management of New Zealand’s national book awards were assumed by the new New Zealand Book Awards Trust. Ockham Residential Limited became the principal sponsor, and the name of the awards was changed to the Ockham New Zealand Book Awards. 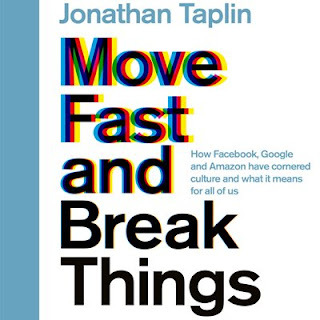 The award categories were streamlined: the Book of the Year Award and the Booksellers’ Choice and People’s Choice awards were discontinued, and a fourth Best First Book Award and a longlist were introduced. From 2016 on, the awards are held each year in May, as part of the Auckland Writers Festival, in a partnership between the New Zealand Book Awards Trust and the Auckland Readers and Writers Festival Trust. 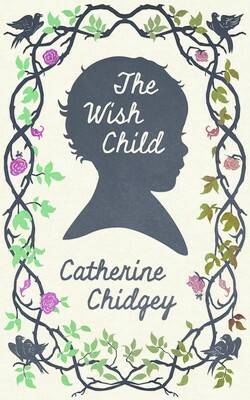 The Wish Child subtly examines territory unusual for a New Zealand writer with this original exploration of the edges of a much-written about historic time. Exposing and celebrating the power of words – so dangerous they must be cut out or shredded, so magical they can be wondered at and conjured with – Chidgey also exposes the fragility and strength of humanity. Elegantly written, there is an innerness to the book’s narrative which gives it authenticity and even authority. 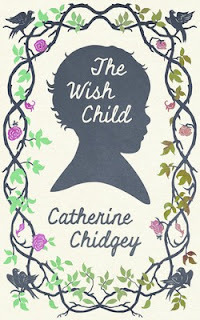 The fey, mysterious voice of the Wish Child, and the very human voices and activities of the book’s other children, are compelling and memorable. You’ll be caught by surprise with its plumbing of depths and sudden moments of grace, beauty and light. The judges’ admiration for Andrew Johnston’s remarkable collection grew with each rereading, as its rich intellectual and emotional layers continued to reveal themselves. Fits & Starts is a slow-burning tour de force, each image, metaphor, theme deeply, fully imagined. It draws on a complex amalgam of sources, including the King James Bible, the radio alphabet, Ovid’s Metamorphosis and ancestry.com, and rewards the reader’s intelligence, attention and patience. Using a minimalist couplet-form, the collection is at once philosophical and political, witty and moving, risky and grounded, while maintaining a marvellously varied singing line. 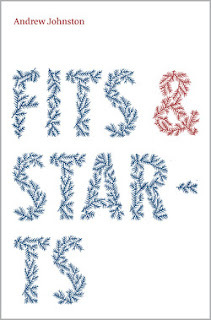 To reward Fits & Starts with the overall poetry prize is to reward New Zealand poetry at its most impressive and its most promising. Putting women at the centre of our history, this sweeping survey shows exactly when, how and why gender mattered. It combines deep research, an immensely readable narrative, superbly well-integrated images and it is distinguished by close attention to both Māori and Pākeha women. General changes in each period are combined effortlessly with the particular, local stories of individual women, many not well-known. A wider sense of women’s experiences is beautifully conveyed by the many well-captioned artworks, photographs, texts and objects. Ashleigh Young’s Can You Tolerate This? is a collection of personal essays that sets a high bar for style and originality in a form that has very little precedent in this country. Young takes the events in her life, including her family, her jobs, and all the emotional complications of living in this world and with remarkable honesty delivers a shrewd and honest reckoning. Always an acute observer, it is in Young’s commitment to writing as an art that the true miracle occurs; she tells us her story and somehow we get our own. The Hubert Church Award for Fiction was awarded from 1945 by PEN NZ (later the New Zealand Society of Authors), and named for Hubert Church, a poet, novelist and critic who died in 1932. The Jessie Mackay Award for Poetry was awarded from 1940 by PEN NZ and named for the first locally born poet to achieve national prominence. The Judith Binney Award for Illustrated Non-Fiction is named for the late historian Dame Judith Binney, whose several ground-breaking books demonstrated her lifelong commitment to researching and writing about the history of New Zealand. The E H McCormick Award for General Non-Fiction is named for the late Eric McCormick, the eminent historian and biographer of Frances Hodgkins. 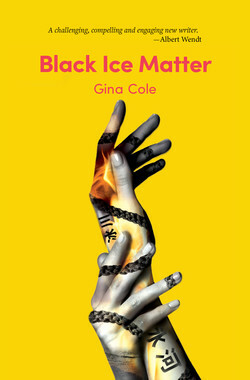 Gina Cole’s short stories are vivid and compelling; this is a new, assured and vibrant voice in Aotearoa New Zealand and Pasifika fiction. Exploring the extremes of heat and cold, peopled with strong, interesting characters you want to know more about, these stories alternatively burn you down, freeze you in your tracks, comfort or cool you. Cole’s precise and elegant writing startles and delights, and it's exciting to read. 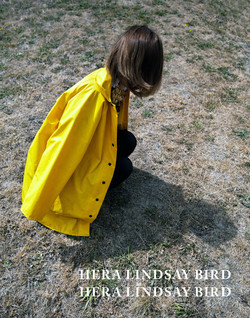 Hera Lindsay Bird’s eponymous debut collection is sassy, funny, seductive. 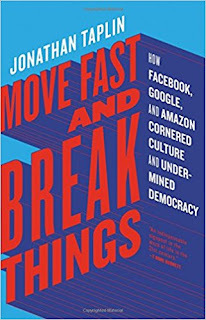 It charms as it dares the reader to be shocked by its sexual frankness and revelations, by its insouciant dismissal of the past, its enjoyment of its own verbal and conceptual conjurations, its sheer performative energy. A particular pleasure is the exuberance of the metaphors and similes, where the pop spear-tackles the antique, the louche the romantic, the trivial the grand. 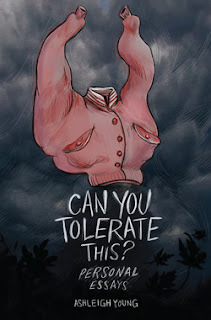 There’s a hymn to hate, an elegy to ex-girlfriends, a paean to bad taste, a rejection of poetry, a celebration of poetry, an invitation to ‘slap yourself in the face with a mohair glove’ and to ‘say true-sounding things and never mean them’. These poems take no prisoners. A careful re-tracing of the evolution of the Iwirākau School, which reinvigorated carving in the Ngāti Porou iwi after it became dormant in the 1830s, this book builds on earlier scholarship with extensive new research. Ngarino Ellis mounts an absorbing argument about tradition, innovation and how culture is transmitted. Natalie Robertson’s magnificent photographs of meeting houses, carvings and landscapes are integral to the narrative. Together they demonstrate the enduring role of carving at the heart of community and rangatiratanga. My Father's Island is a triumph of narrative, prose, and the great Kiwi yarn. Readers come so uncomfortably close to memories of joy, tension and mystery — a testament to Adam Dudding's skill as a prose stylist and a storyteller. 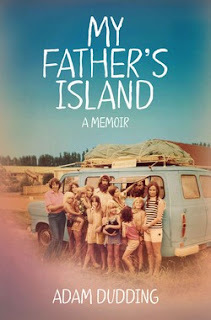 Yet My Father’s Island is more than just its aesthetics — it’s also an important piece of cultural history with Dudding approaching his subject, his father Robin Dudding, as only a journalist would and could, uncovering family secrets never told. Yet My Father’s Island remains, above all, a memoir, an enthralling account of life and family. A Whakapapa of Tradition: One Hundred Years of Ngāti Porou Carving, 1830–1930, by Ngarino Ellis with new photography by Natalie Robertson, has won the Judith Binney Best First Book Award for Illustrated Non-Fiction at the Ockham New Zealand Book Awards. 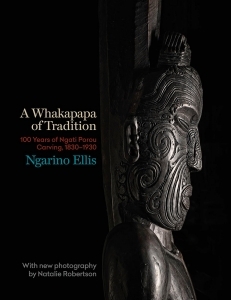 ‘The Auckland University Press team is enormously proud of Ngarino and Natalie’s best first book win for A Whakapapa of Tradition,’ said AUP Director Sam Elworthy. The chieftainess Te Ao Kairau lived in the north of the Waiapu Valley. Desiring carving for the meeting houses that she was having erected, she chose her nephew Iwirākau to travel to Ūawa to learn the arts of carving at the Rāwheoro whare wānanga. Iwirākau had a studious nature and practical bent, and many close connections to major lines in Ngāti Porou. Upon his return from his studies, Iwirākau added new details acquired from Ūawa to the designs and styles of the Waiapu, and became a leader of carving in the Waiapu area. When the whare wānanga later declined, such was the strength of the passing down of knowledge that the style of carving associated with them continued. And one of the strongest to survive was that of the Iwirākau School. From the emergence of the chapel and the wharenui in the nineteenth century to the rejuvenation of carving by Apirana Ngata in the 1920s, Māori carving went through a rapid evolution from 1830 to 1930. Focusing on thirty meeting houses, Ngarino Ellis tells the story of Ngāti Porou carving and a profound transformation in Māori art. Beginning around 1830, three previously dominant art traditions – waka taua (war canoes), pātaka (decorated storehouses) and whare rangātira (chief’s houses) – declined and were replaced by whare karakia (churches), whare whakairo (decorated meeting houses) and wharekai (dining halls). Ellis examines how and why that fundamental transformation took place by exploring the Iwirākau School of carving, based in the Waiapu Valley on the East Coast of the North Island. An ancestor who lived around the year 1700, Iwirākau is credited for reinvigorating the art of carving in the Waiapu region. The six major carvers of his school went on to create more than thirty important meeting houses and other structures. During this transformational period, carvers and patrons re-negotiated key concepts such as tikanga (tradition), tapu (sacredness) and mana (power, authority) – embedding them within the new architectural forms whilst preserving rituals surrounding the creation and use of buildings. A Whakapapa of Tradition tells us much about the art forms themselves but also analyses the environment that made carving and building possible: the patrons who were the enablers and transmitters of culture; the carvers who engaged with modern tools and ideas; and the communities as a whole who created the new forms of art and architecture. This book is both a major study of Ngāti Porou carving and an attempt to make sense of Māori art history. What makes a tradition in Māori art? Ellis asks. How do traditions begin? Who decides this? Conversely, how and why do traditions cease? And what forces are at play which make some buildings acceptable and others not? Beautifully illustrated with new photography by Natalie Robertson, and drawing on the work of key scholars to make a new synthetic whole, this book will be a landmark volume in the history of writing about Māori art. Entertainment News/ MTV MOVIE & TV AWARDS - MONDAY! 2017 MTV MOVIE & TV AWARDS AIR LIVE ON MONDAY MAY 8 FROM 12.00PM, ONLY ON MTV - SKY CHANNEL 015! MTV has this year reimagined the format of its awards show by breaking down the gender wall with exclusively non-gendered categories. Additionally, MTV is adding TV to the traditional movie awards and blending nominees across film and TV, so actors from all screens will compete for the Golden Popcorn in the same categories. 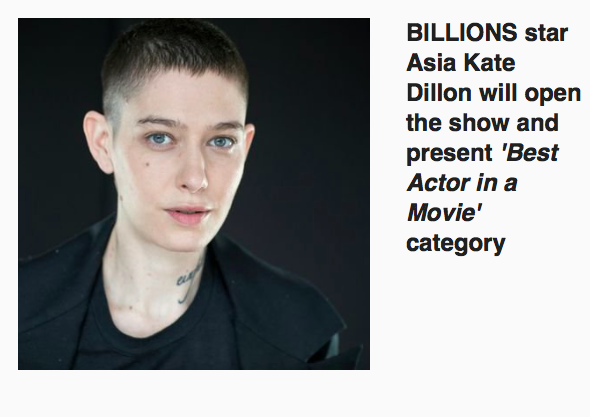 Dillon, a series regular on Showtime’s Billions is the first gender non-binary identifying actor ever to be cast in a major television series. "I grew up with MTV. 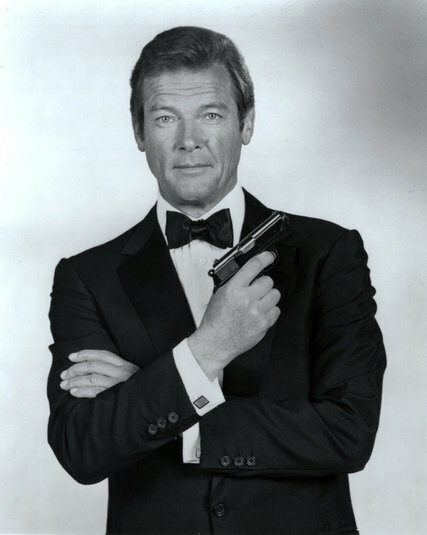 It was the pop culture voice of my generation. MTV continues to be a voice for the culture it represents. I am honored to open the show as a presenter as MTV makes strides once more by doing away with binary acting categories, celebrating television and film in a truly inclusive way," said Dillon. Asia recently sent an impassioned letter to the TV Academy, questioning the gender-specific classifications of the acting categories in the Primetime Emmy Awards. The MTV Movie and TV Awards premiere LIVE on Monday May 8th at 12pm from the Shrine Auditorium in Los Angeles. MTV today announced that Fast & Furious,one of the most popular and enduring motion-picture franchises of all time, will receive the 'Generation Award' at the 2017 MTV Movie & TV Awards, marking the first time that a film franchise will be honoured instead of an individual actor. 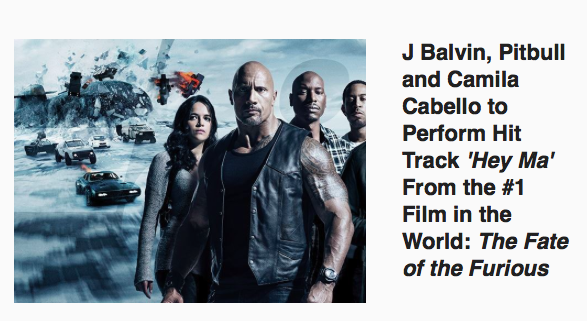 Star and producer Vin Diesel will accept the award on behalf of the groundbreaking franchise, alongside his Fast & Furious franchise co-stars Michelle Rodriguez, Tyrese Gibson and Jordana Brewster. 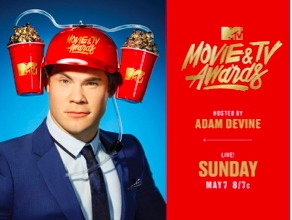 Hosted by comedian Adam Devine, the MTV Movie and TV Awards will air LIVE on Monday May 8 at 12pm from the Shrine Auditorium in Los Angeles. “We are thrilled to celebrate the ‘Fast & Furious’ franchise and its global contribution to pop culture,” said Amy Doyle, General Manager, MTV, VH1 and Logo. “From the diverse cast of beloved actors, to the music and fashion, we are honored to present the Generation Award to a franchise that continues to entertain millions of fans across the world." J Balvin and Pitbull will take to the MTV Movie & TV Awards stage with Camila Cabello to perform their steamy hit single, 'Hey Ma' which is featured in The Fate of the Furious - which recently achieved the biggest global opening in history. This marks the first televised performance of the track since its release in March. For more than 25 years, the 'Generation Award' has been dedicated to honouring talent who have had great achievements in their movie careers. 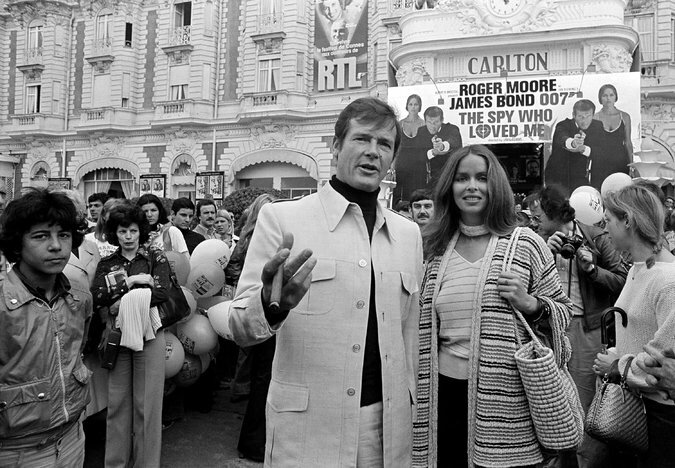 The distinction is given to artists who have shown a variety of impressive roles. Past recipients of the award include: Will Smith, Reese Witherspoon, Robert Downey Jr., Mark Wahlberg, Sandra Bullock, Jamie Foxx, Johnny Depp, Ben Stiller, Adam Sandler, Mike Myers, Tom Cruise and Jim Carrey. This June 1st marks 50 years since The Beatles’ John Lennon, Paul McCartney, George Harrison, and Ringo Starr astonished and delighted the world, ushering in the Summer of Love with Sgt. Pepper’s Lonely Hearts Club Band, a groundbreaking masterwork that became popular music’s most universally acclaimed album. In anticipation of the album release Sgt. 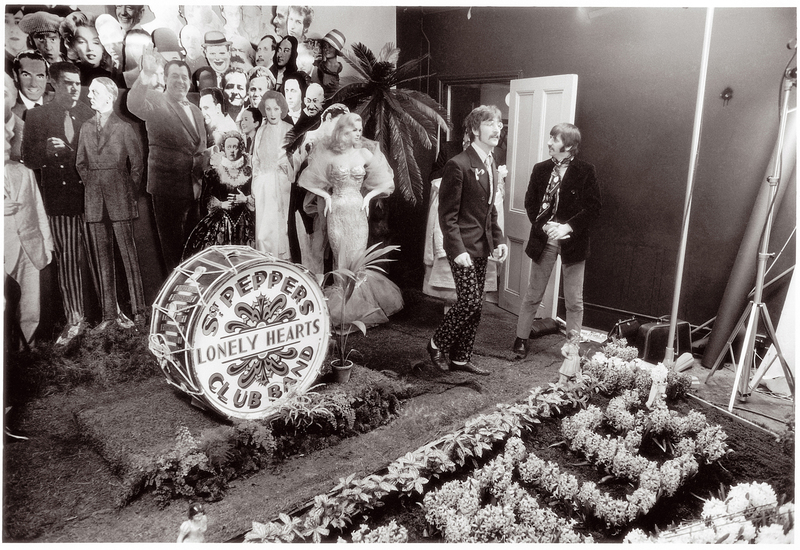 Pepper’s Lonely Hearts Club Band (Take 9) [the lead radio track taken from the forthcoming Sgt. Pepper’s 50th Anniversary sets] has been released. It was 50 years ago this June 1 st when The Beatles’ John Lennon, Paul McCartney, George Harrison, and Ringo Starr astonished and delighted the world, ushering in the Summer of Love with Sgt. Pepper’s Lonely Hearts Club Band, a groundbreaking masterwork that became popular music’s most universally acclaimed album. To salute the occasion, The Beatles will release a suite of lavishly presented ‘Sgt. 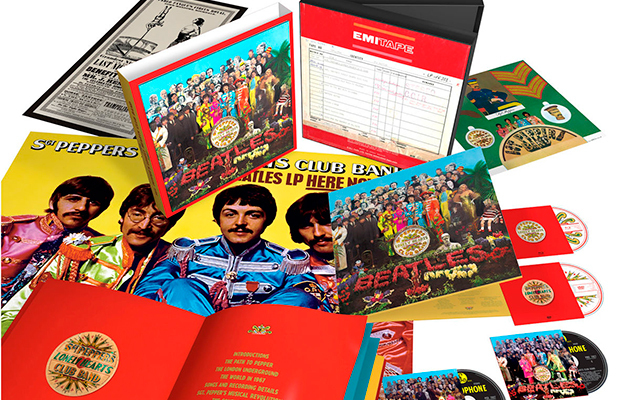 Pepper’ Anniversary Edition packages on May 26 (Apple Corps Ltd./Capitol/USM). The album is newly mixed by Giles Martin and Sam Okell in stereo and 5.1 surround audio and expanded with early takes from the studio sessions, including no fewer than 34 previously unreleased recordings. “It’s crazy to think that 50 years later we are looking back on this project with such fondness and a little bit of amazement at how four guys, a great producer and his engineers could make such a lasting piece of art,” says Paul McCartney in his newly-penned introduction for the ‘Sgt. Pepper’ Anniversary Edition. ..Sgt. Pepper seemed to capture the mood of that year, and it also allowed a lot of other people to kick off from there and to really go for it,” Ringo Starr recalls in the Anniversary Edition’s book. 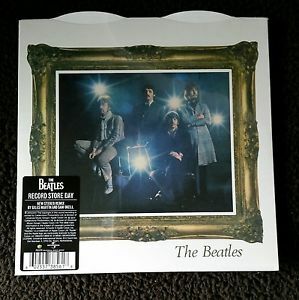 For Record Store Day on April 22, Apple Corps Ltd./Capitol/UMe will release an exclusive, limited edition seven-inch vinyl single of The Beatles’ Strawberry Fields Forever and Penny Lane, among the first songs recorded during the ‘Sgt. 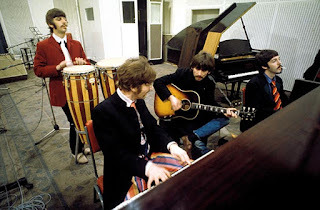 Pepper’ sessions, which began in November 1966. Rather than being held for inclusion on the album, the two songs were released as a double A-sided single in February 1967.
considered a long gap between the Revolver album, released in August 1966, and ‘Sgt. Pepper,’ which followed 10 months later. 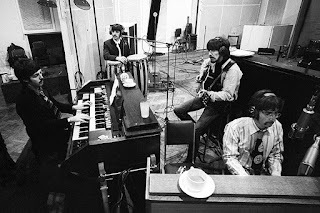 additional session recordings, and it is the first Beatles album to be remixed and expanded since the 2003 release of Let It Be… Naked. To create the new stereo and 5.1 surround audio mixes for ‘Sgt. Pepper,’ producer Giles Martin and mix engineer Sam Okell worked with an expert team of engineers and audio restoration specialists at Abbey Road Studios in London. All of the Anniversary Edition releases include Martin’s new stereo mix of the album, which was sourced directly from the original four-track session tapes and guided by the original, Beatles-preferred mono mix produced by his father, George Martin. A little bit of history.... this is the eighth studio album by English rock band the Beatles. Released on 1 June 1967, it was an immediate commercial and critical success, spending 27 weeks at the top of the albums chart in the United Kingdom and 15 weeks at number one in the United States. The album was recognized for its innovations in music production, songwriting and graphic design, bridging a cultural divide between popular music and legitimate art, and symbolizing the 1960s counterculture. It won four Grammy Awards in 1968, including Album of the Year, the first rock LP to receive this honour. In August 1966, the Beatles permanently retired from touring and began a three-month holiday from recording. During a return flight to London in November, Paul McCartney had an idea for a song involving an Edwardian era military band that would eventually form the impetus of the Sgt. Pepper concept. 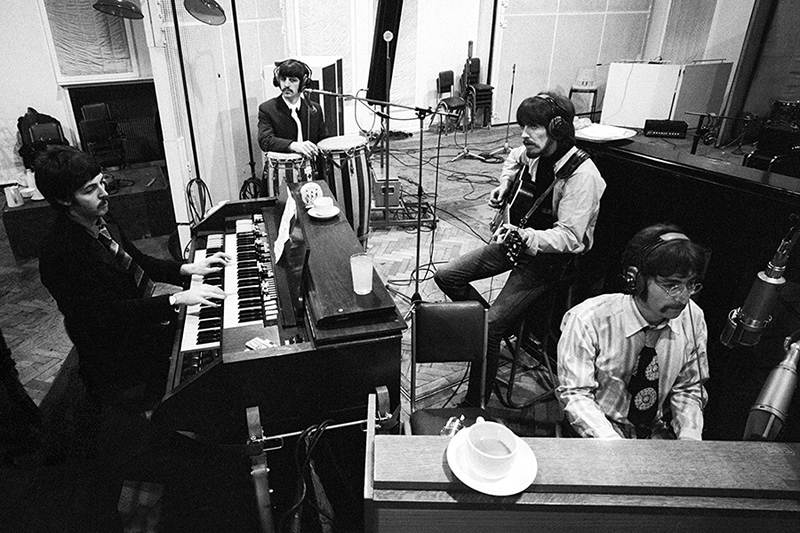 Sessions for what was to become the Beatles' eighth studio album began on 24 November in Abbey Road Studio Two with two compositions inspired from their youth, Strawberry Fields Forever and Penny Lane, but after pressure from EMI, the songs were released as a double A-side single and were not included on the album. 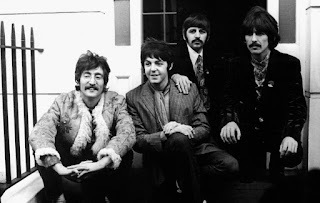 In February 1967, after recording the Sgt. Pepper's Lonely Hearts Club Band song, McCartney suggested that the Beatles should release an entire album that would represent a performance by the fictional Sgt. Pepper band. This alter ego group would give them the freedom to experiment musically. During the recording sessions, the band furthered the technological progression they had made with their 1966 album Revolver. 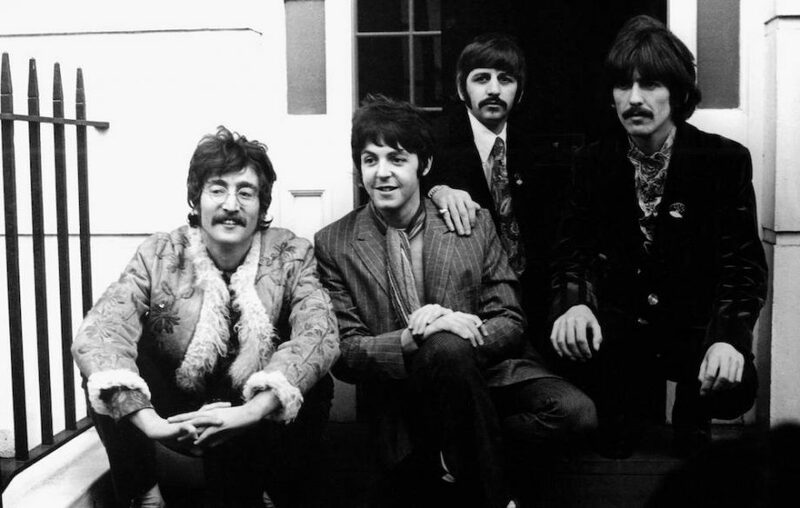 Knowing they would not have to perform the tracks live, they adopted an experimental approach to composition and recording on songs such as With a Little Help from My Friends, Lucy in the Sky with Diamonds and A Day in the Life. Producer George Martin and engineer Geoff Emerick's innovative recording of the album included the liberal application of sound shaping signal processing and the use of a 40-piece orchestra performing aleatoric* crescendos (*i.e. relating to or denoting music or other forms of art involving elements of random choice -sometimes using statistical or computer techniques - during their composition, production, or performance). Recording was completed on 21 April 1967. The cover, depicting the Beatles posing in front of a tableau of celebrities and historical figures, was designed by the British pop artists Peter Blake and Jann Haworth. Sgt. Pepper is regarded by musicologists as an early concept album that advanced the use of extended form in popular music while continuing the artistic maturation seen on the Beatles' preceding releases. It has been described as one of the first art rock LPs, aiding the development of progressive rock, and credited with marking the beginning of the Album Era. An important work of British psychedelia, the album incorporates a range of stylistic influences, including vaudeville, circus, music hall, avant-garde, and Western and Indian classical music. 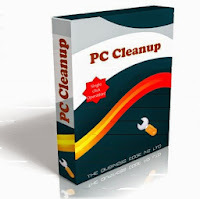 In 2003, the Library of Congress placed Sgt. Pepper in the National Recording Registry, honouring the work as "culturally, historically, or aesthetically significant".That same year, Rolling Stone magazine ranked it number one in its list of the "500 Greatest Albums of All Time". As of 2011, it has sold more than 32 million copies worldwide, making it one of the best-selling albums in history. Professor Kevin J. Dettmar, writing in the Oxford Encyclopedia of British Literature, described it as "the most important and influential rock and roll album ever recorded".It is the best selling album worldwide of the 1960s. A little bit about the cover... The album’s vibrant artwork, including its extravagant Pop Art cover which finds The Beatles surrounded by a crowd of heroes in a 3D collage, was created by Peter Blake and Jann Haworth in collaboration with the band. The original artwork is showcased across the suite of Anniversary Edition releases, including the album’s pull-out sheet of ‘Sgt. Pepper’ cutouts. Housed in a 12-inch by 12-inch box with lenticular artwork and two bonus posters, the six-disc Super Deluxe set is presented with a 144-page hardcover book. The book includes new introductions by Paul McCartney and Giles Martin, and chapters covering comprehensive song-by-song details and recording information, the design of the cover, the album’s musical innovations and its historical context by Beatles historian, author and radio producer Kevin Howlett; composer and musicologist Howard Goodall; music producer and writer Joe Boyd; and journalists Ed Vulliamy and Jeff Slate, illustrated with rare photographs, reproductions of handwritten lyrics, Abbey Road Studios documentation, and original ‘Sgt. Pepper’ print ads.